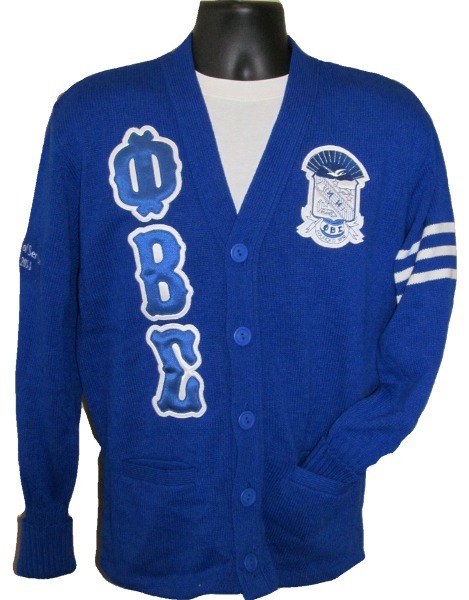 Brilliant color, unique stitched lettering, and handsomely embroidered crest make this "old school" cardigan so nice! 3 stripes on the left sleeve, fold up cuffs, and 2 front pockets give this cardigan great styling. 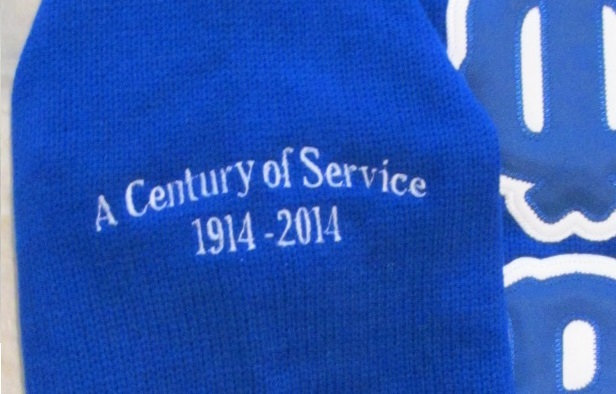 Add "A Century of Service 1914-2014" or custom embroidery to your right sleeve to make your cardigan a keepsake to treasure for years to come. There is nothing on the back of this cardigan. It's a blank canvas if you would like to add on, or keep it bare for a clean, classic look.